Gingery miatakes with spinach and brown rice, ready to eat. 3 cups (approx.) 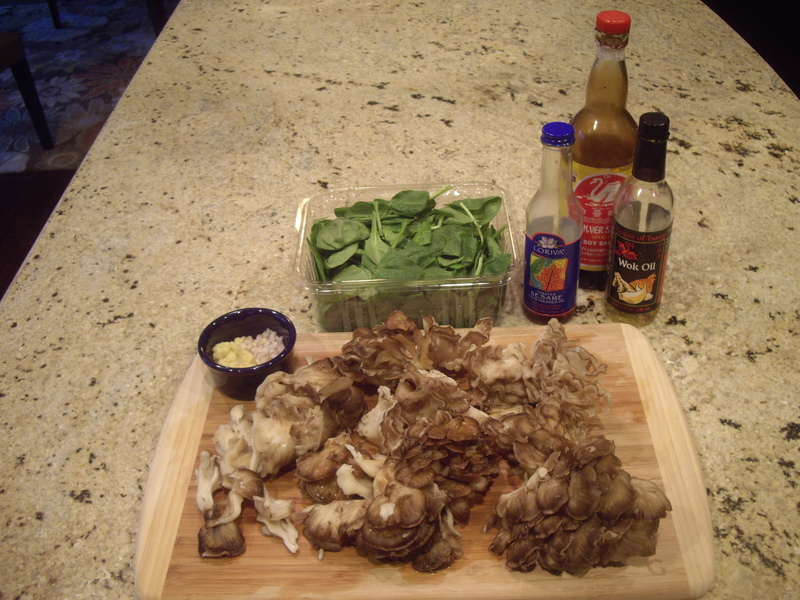 maitake /hen of the woods mushrooms, cleaned, stems removed, and sliced uniformly. Spinach (about 5 oz, or a bit more). Brown riced, cooked and kept warm. In a large skillet (not a wok), drizzle a little vegetable oil and warm over medium heat. Add aromatics and mushrooms. Stir, and add about 1/2 c. stock. Simmer for about 20 minutes, continually adding stock in 1/2 – 1 cup increments. You don’t want to let the skillet dry out. Add the soy sauce and sesame oil. Taste the liquid and correct seasonings to your taste. Add the red pepper to the mushrooms and simmer for just a minute. While the peppers simmer, add several couple teaspoons of water to the cornstarch and stir until dissolved, with no lumps. 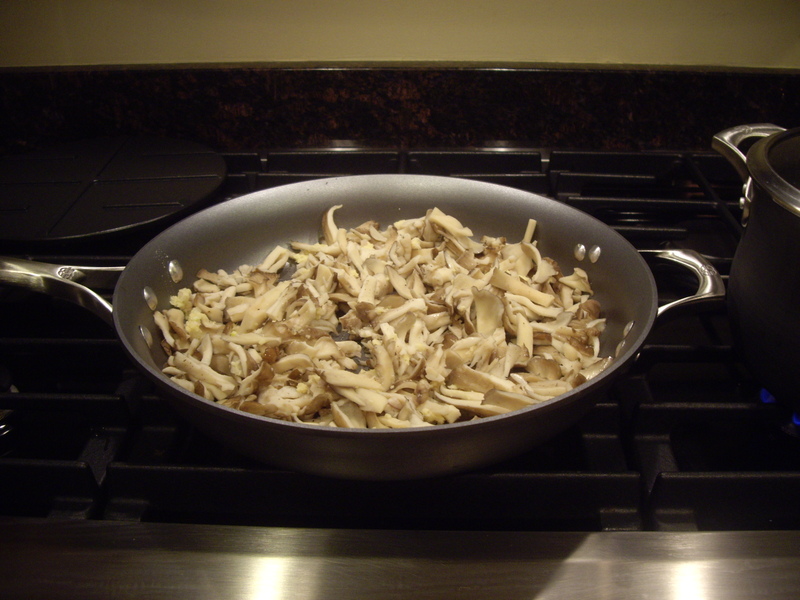 Pour the mixture into the simmering mushrooms – this will thicken the liquid and make a sauce. 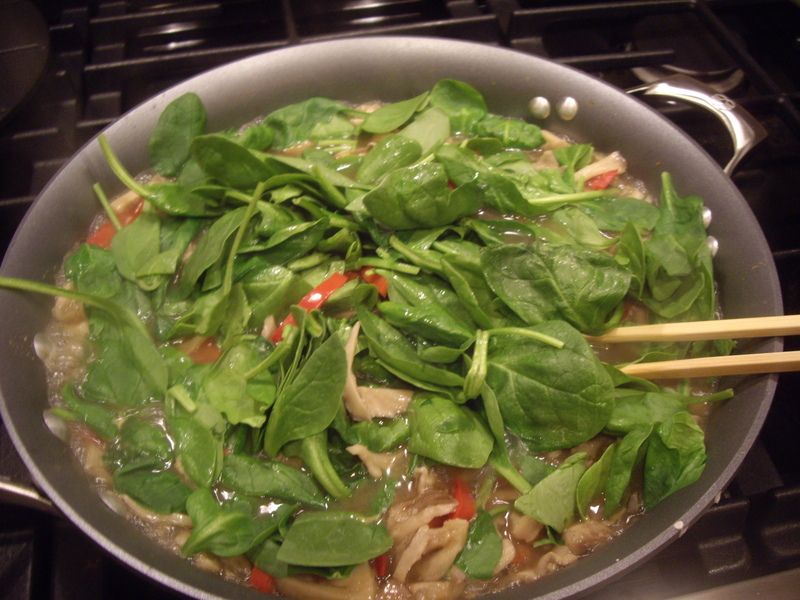 Stir in the spinach, and cut the heat. 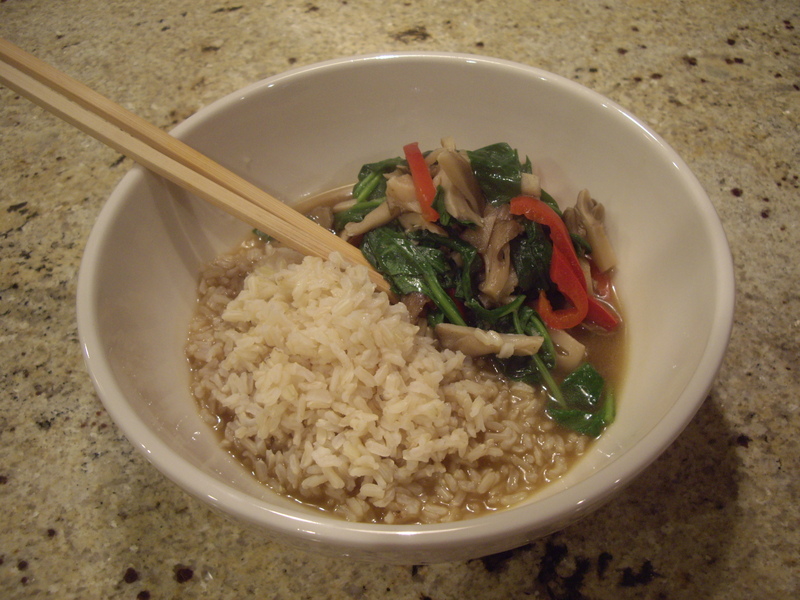 Keep stirring until the spinach is wilted and coated with the mushroomy sauce.